Die Vollversion HD Video Converter Factory Pro jetzt günstig kaufen und downloaden – mit Gutscheinrabatt! HD Video Converter Factory Pro is equipped with advanced High-Definition (HD) video conversion technology. It can help users convert videos from Standard-Definition (SD) to High-Definition (HD), and it can also help users cut down the video size to convert HD videos to SD videos. This HD Video Converter builds in 100+ video formats, it can convert nearly all popular videos besides the SD video and HD video. 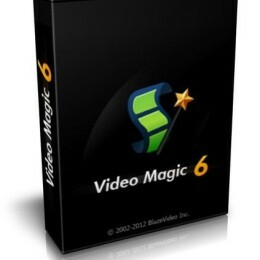 For example, it can convert Multi-track HD video M2TS, MKV, AVCHD, HDTV BDAV and MPEG-TS and so on to wide range of popular video and audio formats. And, It also supports converting all the High Definition and HD-Camcorder videos to both portable and console players, such as iPad, iPod, iPhone, Apple TV, PS3, PSP, Xbox, Zune, PDA, BlackBerry, Nokia, Android, Zen, etc. You can check all supported video/audio formats below. Besides the powerful converting functions, HD Video Converter Factory Pro also supports Multi-CPU and Hyper Threading, it offers up to 50X real time video converting speed, which will help you convert video in a high speed. Wenn ein Rabatt oder ein Gutscheincode für HD Video Converter Factory Pro verfügbar ist, zögern Sie nicht, denn die Aktion könnte plötzlich zu Ende sein. Reagieren Sie jetzt, klicken Sie auf den "Jetzt kaufen"-Button. Wenn Sie HD Video Converter Factory Pro ausprobieren möchten, holen Sie sich die kostenlose Download-Testversion! Klicken Sie den Button unten an.